Lately Zazzle, our fulfillment partner, has been on a bit of a mission. They want to add products to their platform that change the world in a socially and ecologically responsible way. In enters one of Zazzle’s new partnerships: American Mojo®. American Mojo® is a very unique, very cool company. We really can’t do them any justice when describing them. In a nutshell, American Mojo employs single mothers to cut and sew their products right in the USA. So, all their products are made in the USA. Impressive for sure, but that’s not all. They also pay these mothers better than minimum wage. Not only that, they provide them with childcare, healthcare, retirement plans, and education/career training as well as opportunities to move to other jobs within the company. They are even considering an employee stock ownership plan and hope to provide college education funds for the children of their employees and possibly a micro financing strategy to help any of the moms start their own businesses if they should wish to do so. It’s really a unique take on social responsibility. Quite an amazing idea! The idea is if they can help break the poverty cycle, then they can help stamp out homelessness, and eradicate poverty. Big goals! We hope it can work out for them. They explain it all on their “about American Mojo” page. The below video does a great job explaining what American MoJo is doing today. Wasootch is very proud of Zazzle for partnering with American Mojo! I hope that with the help of Zazzle, American Mojo turns out to be a BIG success! 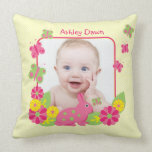 What American Mojo products can you get from Zazzle? 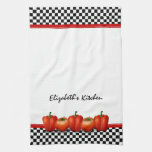 Throw pillows, placemats, napkins, and kitchen towels... with the hopes of adding even more! Let’s check them out! American Mojo throw pillows are made of 100% grade A cotton. There are two sizes: 20"x20” (square) and 13"x21” (lumbar). They are machine washable and have a hidden zipper enclosure; synthetic-filled insert included. 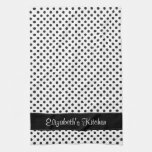 American MoJo custom kitchen tea towels are made of 100% cotton twill. 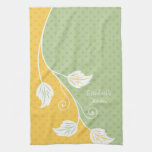 These machine washable, durable towels are vibrantly printed with unique custom designs. Size is 16” x 24”. American Mojo custom placemats and napkins are made of 100% cotton and machine washable. Napkins come in sets of 4 and there are two sizes available: 20"x20” (dinner napkins) and 12"x12” (cocktail napkins). Placemats are 20"x14”. Note, these great American Mojo products are manufactured on demand when you order them. That means the fabric is printed, cut, and then sewn before they are shipped out to you and, as such, they take a while to manufacture. Please allow 5-21 business days for manufacturing. *Shipping estimates will vary depending on the shipping method selected at checkout, and are not included in the manufacturing turnaround time posted. Posted by Wasootch - a designer of unique special occasion stationery and customizable gifts.